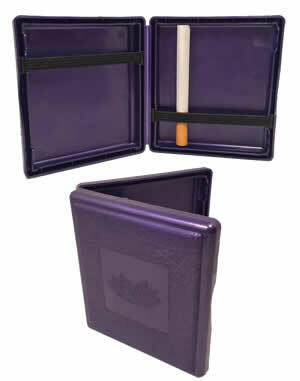 This is a one piece cigarette case that is similar to the classic style cigarette folding case that comes with a clip. Except this one comes with an elastic band instead of the clip. It comes in 3 different colors, that may vary. You do not have any features set at the moment, please add at least one feature.